The space in front of the Netherlands Carillon, with its spectacular view of three Washington monuments, is a premiere location for weddings. 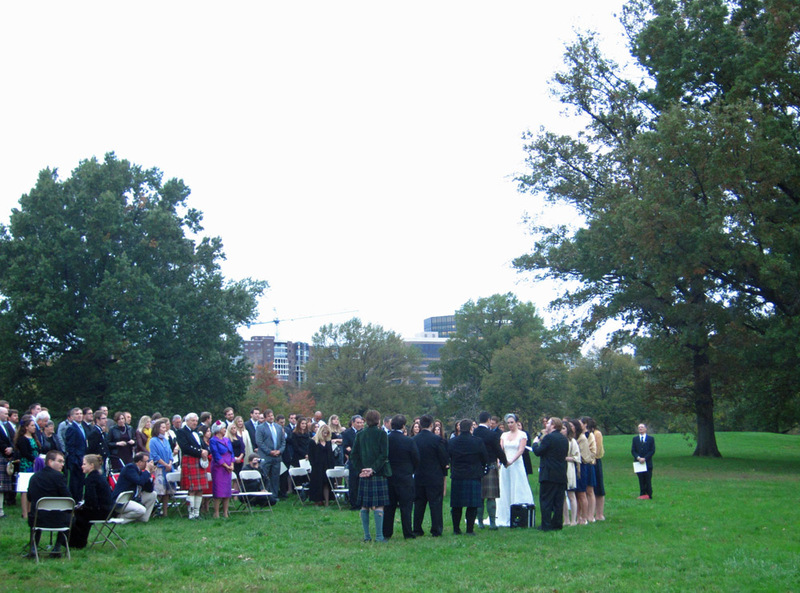 Couples marrying in Rosslyn could have a reception in a nearby hotel. A sophisticated and fun alternative would be to rent Artisphere for a wedding reception. The art exhibits and the central spiral stairway would make for a memorable event.